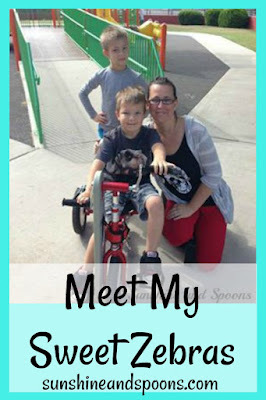 Today, Jamie from My Sweet Zebras is guest posting on Sunshine and Spoons! 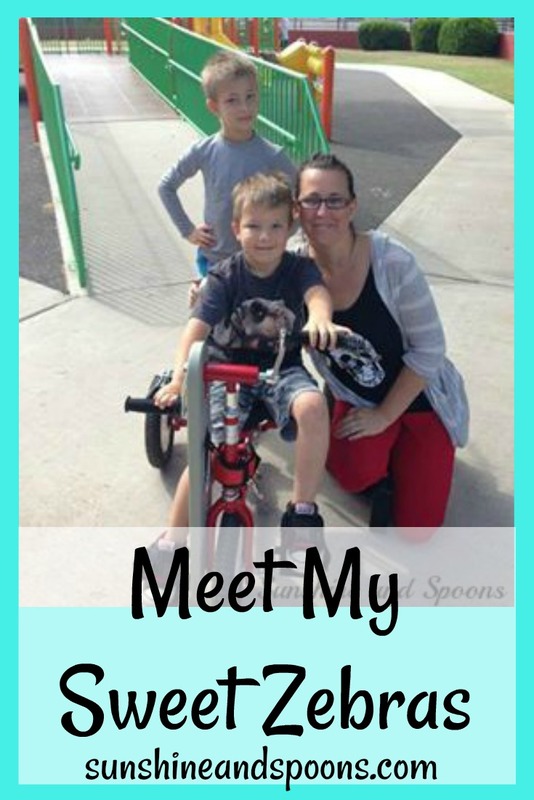 Jamie is an supermom taking care of her two little zebras, and I'm excited to share her family's story with you. With no further ado, here's Jamie! Hi there! I’m Jamie from My Sweet Zebras. Before 2016, I thought Zebras were just black and white striped animals at the zoo. I had no idea that medically speaking being ‘a zebra’ was even a thing. Zebras are similar to one another but unique; each with their own set of stripes. I like to think our story is like that, similar but unique.